Hi everyone! 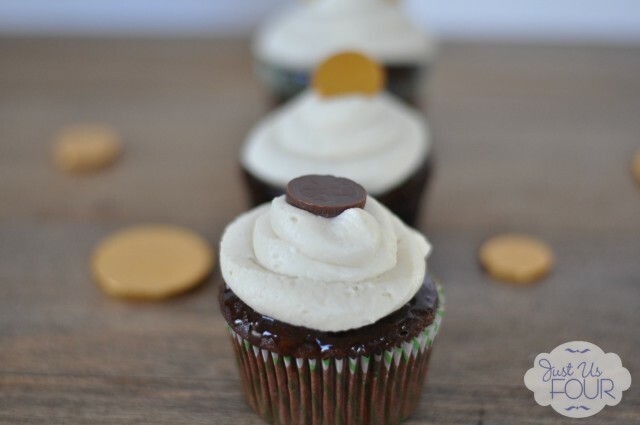 I’m Shannah from Just Us Four back again this month to share with you another recipe! Since it is March, St. Patrick’s Day is on just about everyone’s brain. 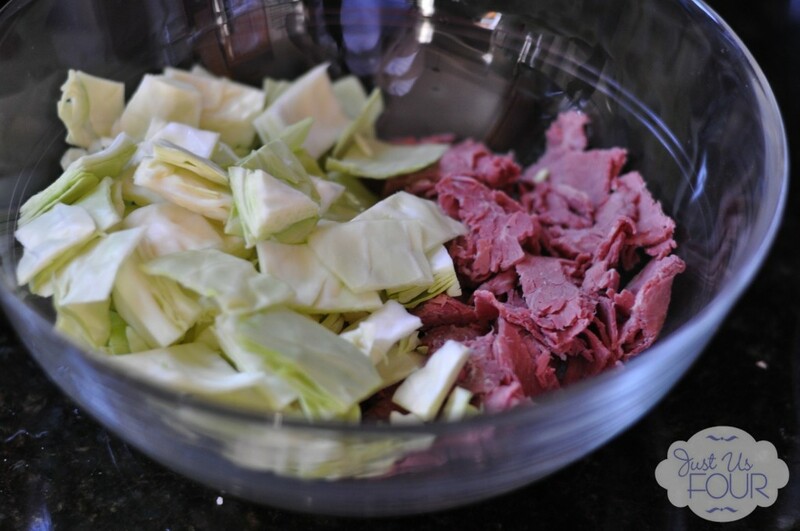 For us, St. Patrick’s Day brings a lot of traditional Irish items like corned beef and cabbage. I don’t usually have alot of time to actually make corned beef at home though so instead, I created a Corned Beef and Cabbage casserole that you can easily use deli corned beef to make. 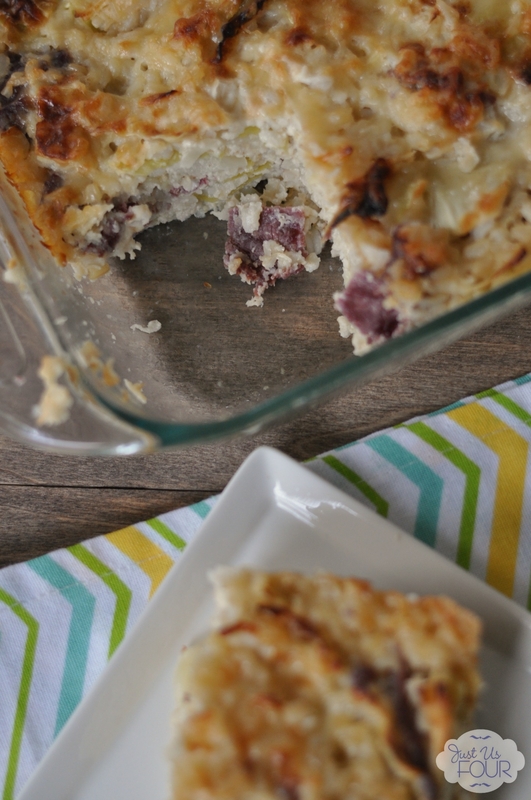 This casserole is so simple to put together but is the perfect St. Patrick’s Day meal! 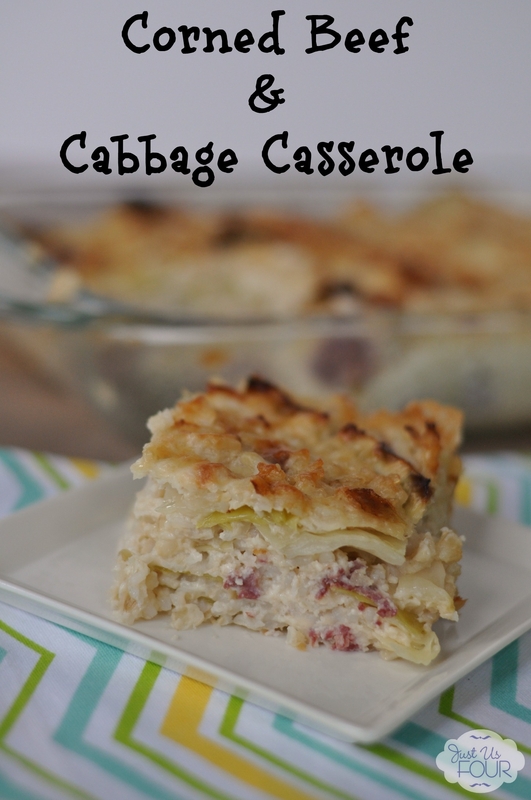 Of course, if you are a fan of corned beef and/or cabbage, you can totally make it anytime! If you choose, you can make the corned beef at home and then cut it into pieces for the casserole. 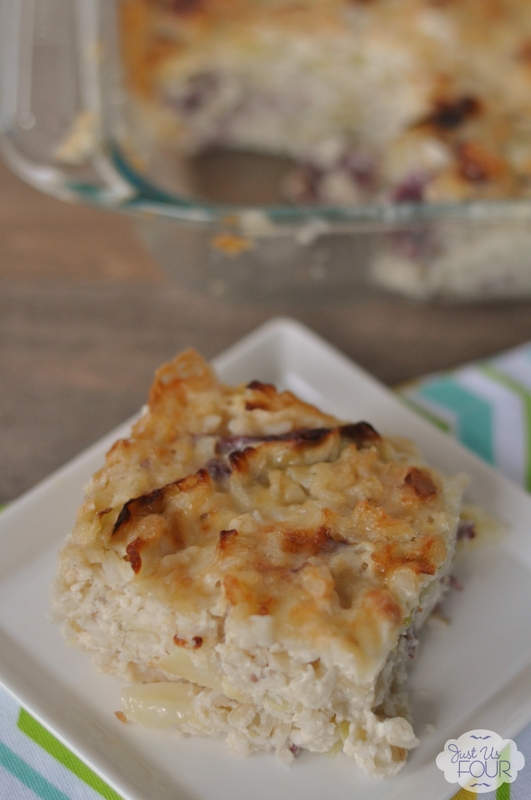 You could even make this casserole ahead of time and freeze it for later. Preheat oven to 350 degrees. Spray a 9×13 baking dish with cooking spray. Combine rice, cabbage and corned beef in a large bowl. In a large pan, melt butter over medum heat. Add shallot and garlic and saute for 3-4 minutes. Whisk in flour and cook for 1 minutes. Slowly add in milk letting each prior amount added fully incorporate into flour mixture before adding more. Bring to a bowl and simmer, whisking constantly, for about 5 minutes or until thickened. Turn heat to low. Stir in 1 1/2 cups shredded Swiss cheese, mustard, salt and papper. Remove from heat and stir in sour cream. Pour sauce over cabbage mixture and stir well. 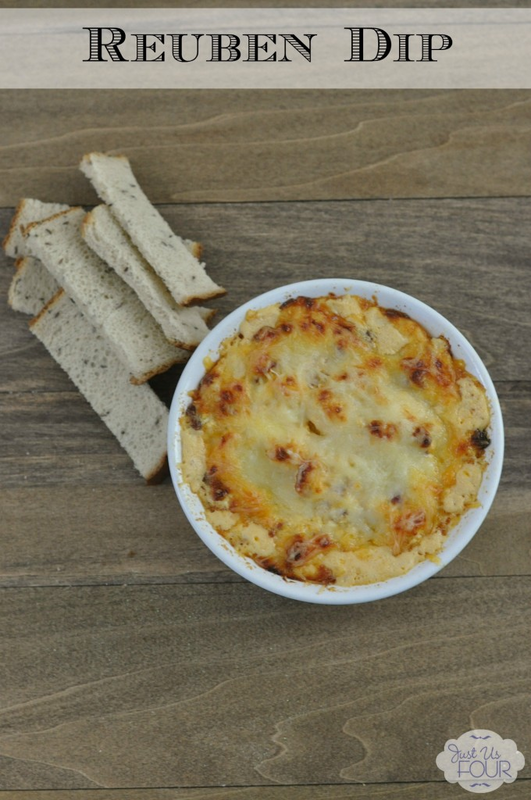 Pour into prepared dish and top with remaining shredded Swiss cheese. Cover dish with foil. Bake at 350 degrees for 25 minutes. Remove foil and bake for an additional 5-10 minutes until cheese is browned. « Sharing My Mess and a Few Updates!